Dell has shown off the latest Alienware gaming kit – including an 11.6 inch 'gaming netbook' that will cost less than $1000. Although, in truth, the term netbook is a little stretched by the laptop – Dell's Alienware M11X is at least now confirmed after months of rumours. Apparently it's capable of running Crysis at 50fps, courtesy of Nvidia's GT335M switchable graphics. Although in gaming mode the battery life has been put at 2 hours, when you are running it at lower levels the rumour is it could last you over 6 hours. Detail is thin of the ground, but we're confident that more news will be forthcoming in the next few weeks. 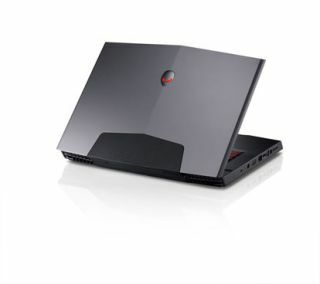 Also shown off in the Alienware range were the Alienware M17x and Alienware M15x laptops – the most powerful 17-inch and 15-inch Alienware gaming laptops ever created. M17x start at £1649 including VAT and delivery and the M15x start at £1199.